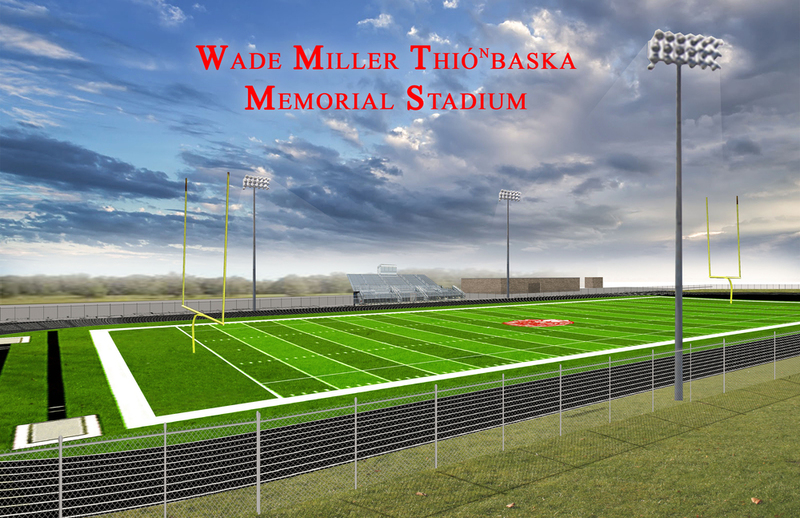 Umonhon Nation School is proud to announce the renovation of the Wade Miller Memorial Stadium. The renovation will be broken down into two phases. 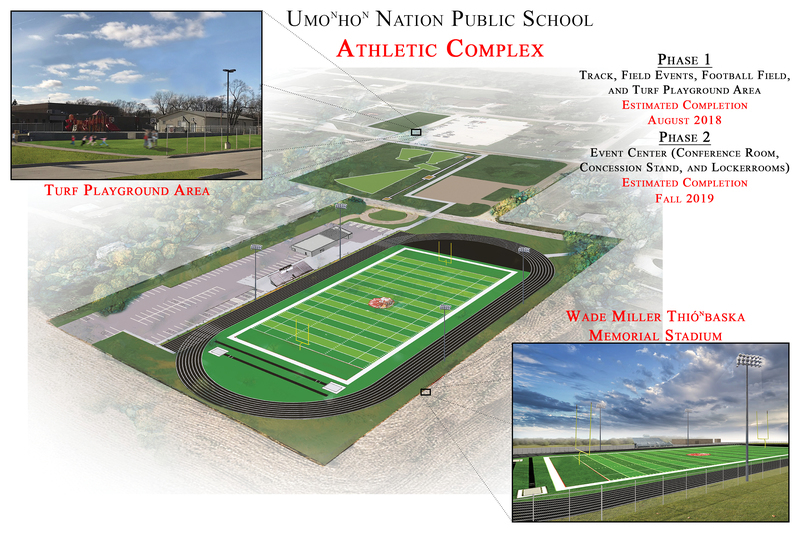 Phase 1 is currently under way with the renovation of the football field, track, field event area, and playground area. Phase 1 is scheduled to be completed in August of 2018. 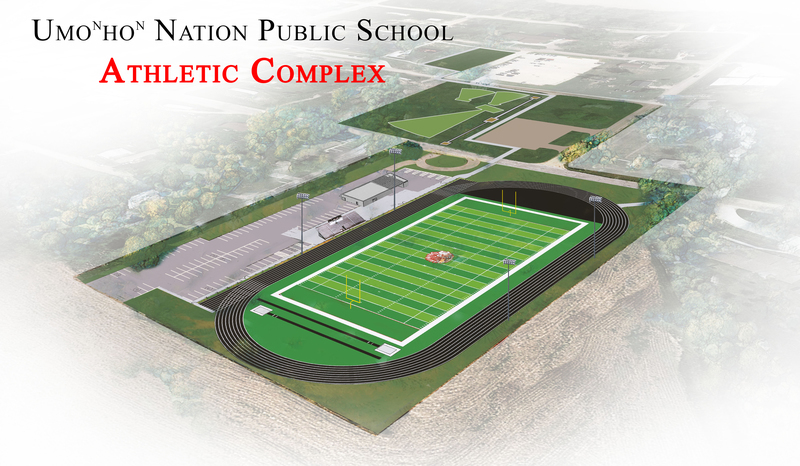 Phase 2 will begin in the fall of 2018 and is projected to be completed in the fall of 2019. This phase will include an Event Center with a conference room, concession stand and locker rooms.